TouchBistro Point of Sale by TouchBistro Inc.
TouchBistro is an iPad point-of-sale system designed with restaurants in mind. 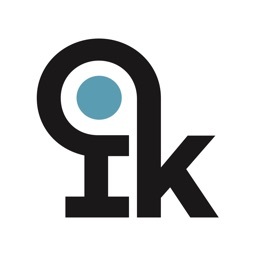 It works well for full-service restaurants, quick-service venues, food trucks, cafes, bars, coffee shops, breweries, and pizzerias. 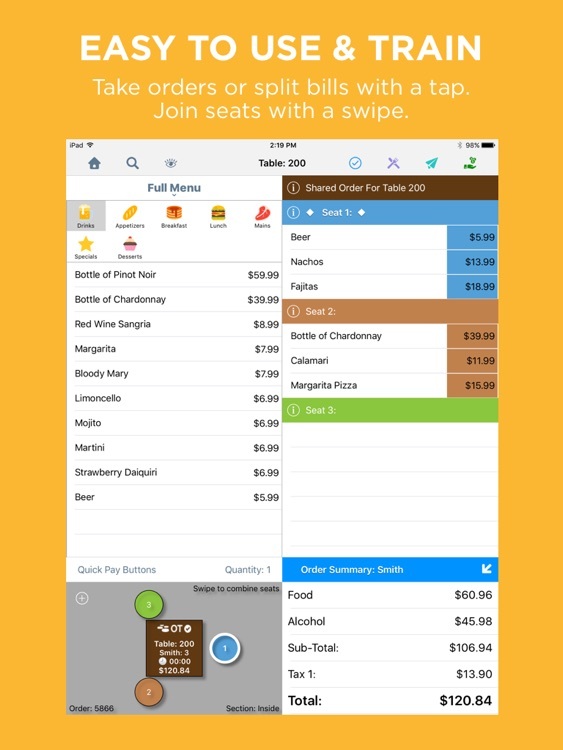 The app allows servers to take orders, manage tables, and even split the bill by seat. It's fully customizable, and includes cloud reporting with more than 30 detailed reports. 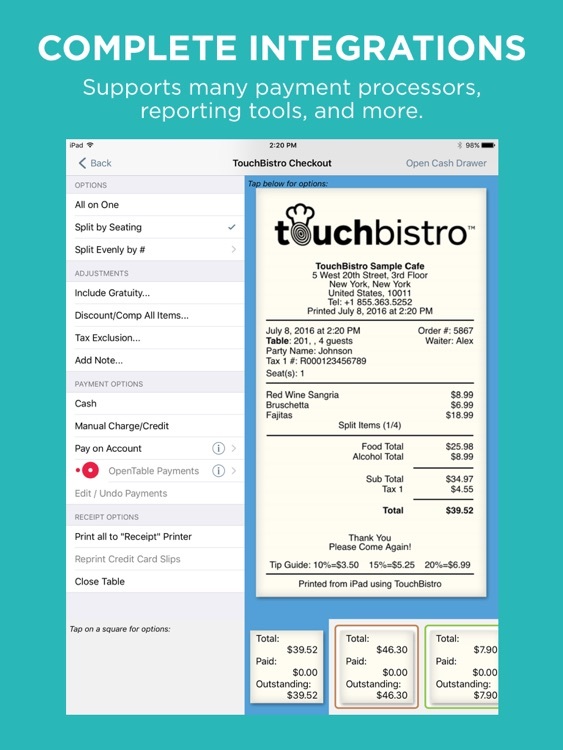 TouchBistro is the real deal for restaurant owners. 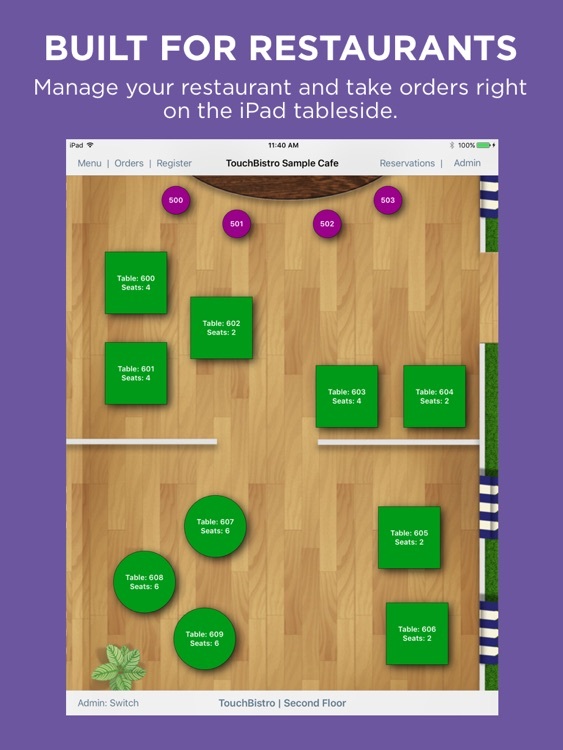 You can manage tables, customize your floor layout, and even set up a vibrant menu display. 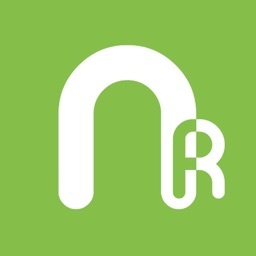 The app also supports managing reservations, tracking inventory, and scanning barcodes. TouchBistro allows your servers to take orders, split the bill by seat, and quickly accept payments using major credit cards. At the end of the day, more than 30 detailed reports make it easy to see how your business is doing. 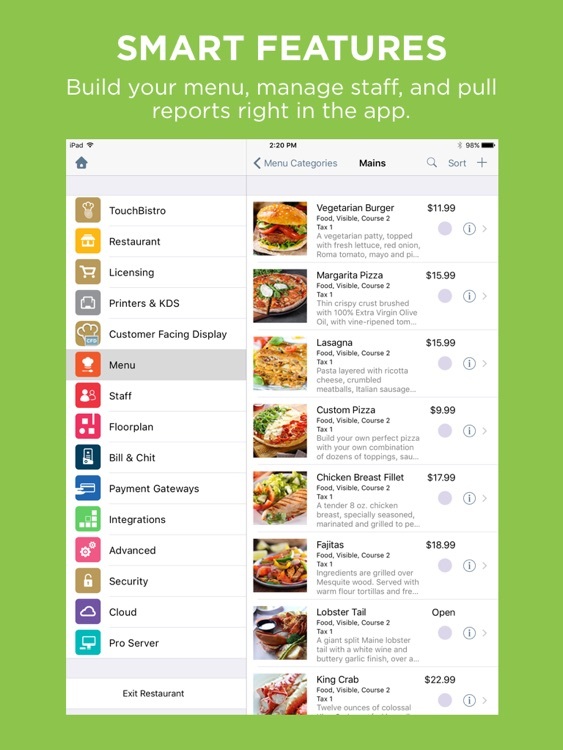 TouchBistro is a point-of-sale system and full restaurant reporting solution in one app. 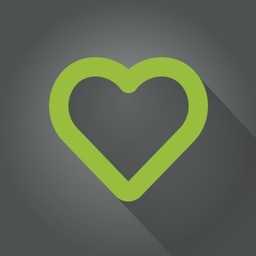 It supports the most popular payment gateways, integrates with Xero and QuickBooks, and even supports shift scheduling. 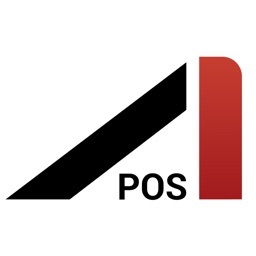 TouchBistro is an iPad POS and integrated payments solution built for restaurant people, by restaurant people – with every feature designed to meet the unique needs and fast pace of the foodservice industry. 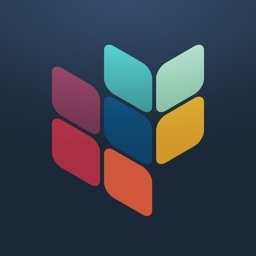 TouchBistro is the POS that has powered over 15,000 restaurants in more than 100 countries worldwide. 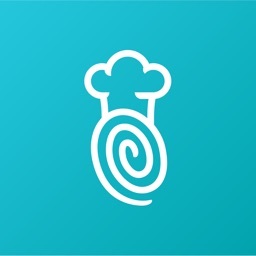 TouchBistro makes running a restaurant easier by streamlining and simplifying all aspects of restaurant management, so restaurateurs have more time to focus on their passion – the reason they opened their business in the first place. 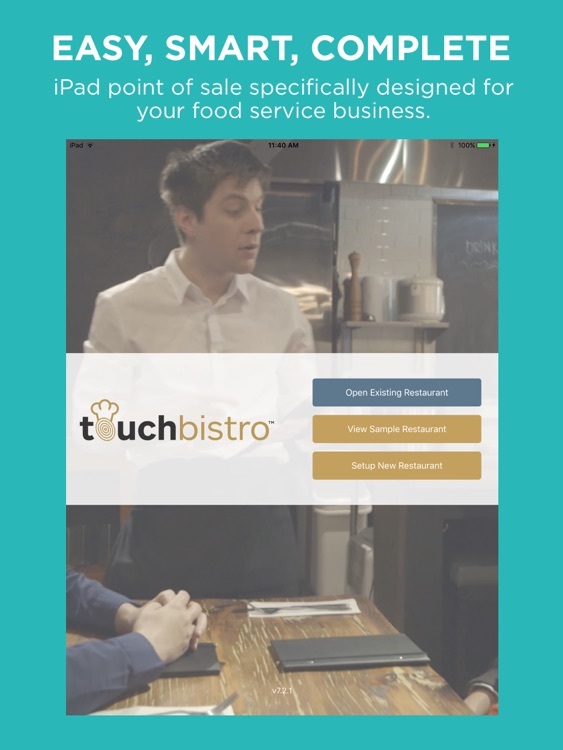 Designed to help restaurateurs run a better and more successful business, TouchBistro enables restaurants to make more money, deliver a great guest experience, and take the guesswork out of making business decisions.